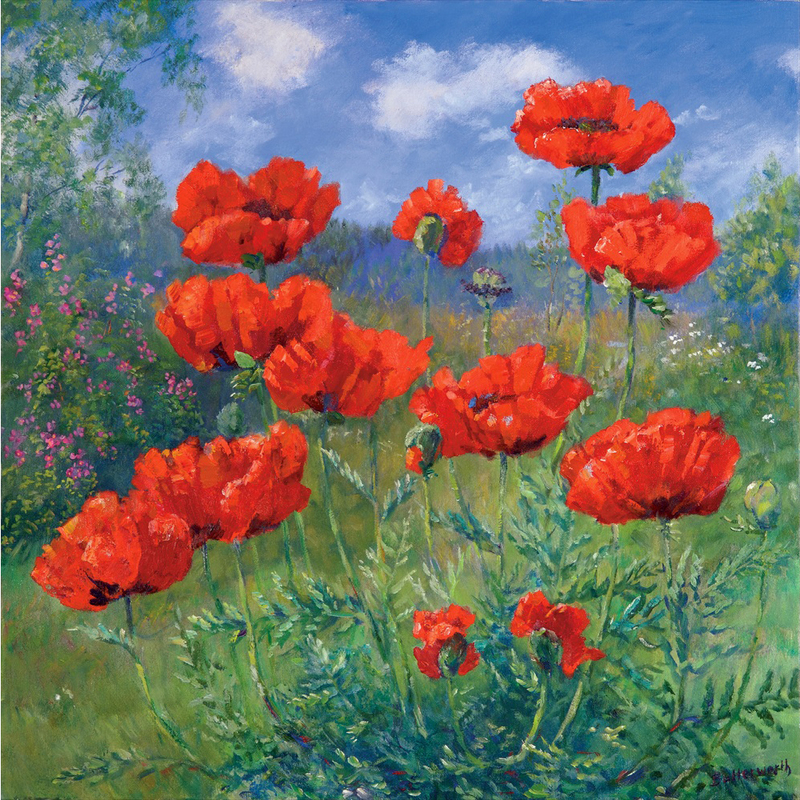 Bright red poppies in summer sunshine in the artists garden in Glenmuick. Signed giclee print limited to 350 copies. Approximate image size 51 cm x 51 cm.